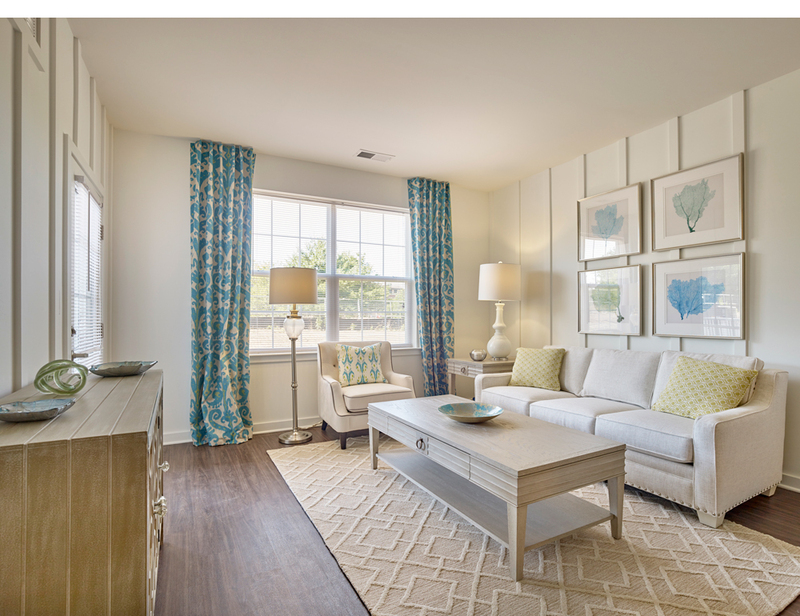 EAST WINDSOR, NJ – Active adults who act quickly can not only select from outstanding rental opportunities at The Woods at East Windsor, they can also take advantage of an exciting limited-time promotion at the upscale neighborhood for those aged 55 and better in this Mercer County Township. Renters who sign a lease and take up occupancy at The Woods at East Windsor by March 31st, 2017 will receive a special bonus – one month free rent and a free 42” Flat Screen television, the perfect addition to their brand new apartment. Monthly rents at The Woods at East Windsor begin from an affordable $1,350. Apartments are housed three separate buildings all with elevator access. Renters have seven different layouts to choose from ranging from 726 to 1,298 square-feet and boasting upscale elements such as luxury flooring, upscale kitchens with shaker-style designer white cabinets, quartz countertops and stainless steel appliances, individual washer/dryer and outdoor balconies. Many homes come with private garage parking. On-site storage will also be available.